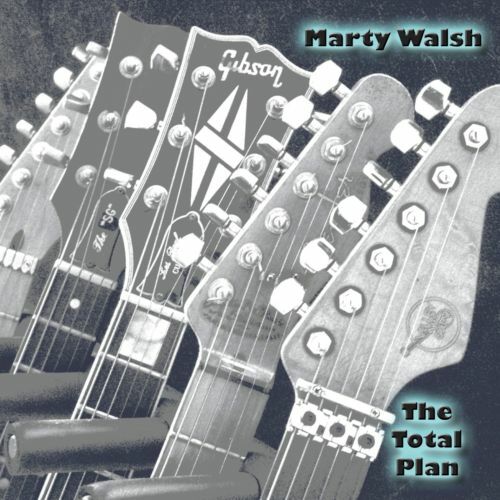 In 2014 I released my album “The Total Plan”. A real labor of love to be honest. It took 10 years to make. I thought the blog would not be complete without thanking all of the people that worked on this album. In 1994 while still living in LA, my friend, producer Jeff Weber asked me if I would like to submit some instrumental guitar based music for a potential Japanese label release he had cooking. I had some tracks that were vocal songs I had done that had never found a home. I accessed four of these, took out the vocal and played guitar melody/solos over them. I gave them to Jeff who liked them, one up tempo piece in particular. A deal for the album was never approached but the idea was spawned. Enter 2003. Nine years later. I start teaching at Berklee and one of the things I think I should do is resurrect that project Jeff first suggested. I had never made an instrumental “guitar” record before and thought this was the perfect time to do it. I got to work on this project in early 2004 and finished the album in 2014. YO! It took quite a few years to get this going but to start I located the original tapes of the four songs I gave to Jeff in ’94. I no longer had the type of tape machine they were recorded on but I found my former tech, Ken Lee at Blueberry Buddah Studio in Pasadena CA who did tape transfers. I sent him my tapes and he sent me back the .wav files. Out of the four songs, I thought only two were right for the album so I started there. Thinking about how to do this I reminisced about all of the great LA musicians I had done sessions with and toured with over the years. On top of that I had gotten to know some really great musicians in Boston, particularly at Berklee. I then combed through many unfinished tracks I had. Mostly vocal songs that were in various stages of completion. They were all fairly pop in nature, nothing too musically severe hahaha. I thought what would be cool would be to make an instrumental album that non musicians would dig. An album not for techy musioids per se but more for the common listener. With that in mind I set out on my journey. Me: Hey (musicians name goes here) how’s things? Musician: Great Marty, how are you? Me: Things are really good, the reason I am calling is I am making an instrumental record and I am hoping to get all of my musician friends I have worked with over the years to appear on this. Musician: That sounds cool, you need me for something? Me: Yes I do. I have a track earmarked for you and am hoping to get (enter a number of musicians names here) to play on that track as well. There is only one issue. Musician: Well, I can do that, it may take awhile to find a time to record this for you but I can do it eventually. Me: Fantastic, I’ll be in touch. Then I started really getting into this. For the most part, I essentially did one song at a time. Having a skeleton with some rough parts, I would send that basic idea out via the net to the prospective player and wait. Some of my guys were not kidding as to how long it would take. Months would go by and then I would sheepishly make the call as to when the track(s) they were doing for me might be ready. These were all done at the musicians home studios so I had to wait until they had time to record for me. I was just really grateful that all of my friends agreed to do this for no bread. The album leads off with the song “Like A Rock”. This track was originally on the album I released in 1996 called “Lucias Tokas”, which was produced by my good friend, the late Roby Duke. On the LT version I had Michael Jochum on Drums, I played Bass and Roby did some Percussion/Synth programming. Thinking of who else to call for this I remembered a dear friend of Roby’s, Keyboardist Nick Manson. I had met Nick through Roby so I called him up and asked him if he would give me a synth solo and rhythm organ part on this track. He did in spades! Nick captured the vibe perfectly. When it was pretty much finished I commandeered a group of student horn players from Berklee for a section part. Vanessa Collier on Alto, Alex Macrides on Tenor, Rob Krahn on Trombone and Brian Phillips on Trumpet. The second track is “Feeling Free”. I took the title from an album my old guitar teacher Barney Kessel did of the same name. The song started out as a song I wrote for an artist I was going to possibly produce. That gig was put on hold so I decided to use it for this album. I had the rough demo with tracks I created so I started replacing things. The band was to be former Roundhouse band members Jack Kelly on Drums, and James Raymond on Keyboards. Rounding out the vibe would be Billy Sherwood on Bass. I first sent it off to Jack who did the drums and sent those back. I put them in the project and sent it off to Billy for the bass track which he did and sent that back to me. I already had a basic keyboard part on it played by my son Ian so I sent it off to James for a solo. James did a great organ rhythm part and solo and of course he nailed it! The third track and the last piece for today is Groove Mechanics, originally written by myself and John “JR” Robinson as a song for a potential Rufus reunion. This one features “JR” on Drums, John Peña on Bass and the uber talented Michael Ruff on Keyboards. I could have had John Peña on Feeling Free with the rest of the Roundhouse band but I knew that his bass sensibilities would be perfect for this piece as it had a bit of an R&B/Jazz flavor. I titled this after it was finished. I was sitting listening to the final rough mix thinking “does this ever GROOVE!”. I pictured those guys as “mechanics” plying their trade. Before I sent the track to Michael it was good, when I got his files and put them in the song it was just special. I emailed Michael and told him I needed to include him in on the writing credit as his parts were quite compositional. He told me not to worry about it. The guy is a flat out genius and I always felt honored to make music with him. Next week, continuing with “The Total Plan”. Thanks for reading!